Although your dentist will make every effort to save your tooth, there are times when a dental extraction is the best solution. 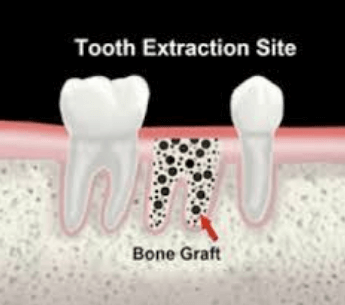 Extraction may be necessary for a variety of reasons including decay, infection, breakage, overcrowding and gum disease. Many patients go to their dentist in pain. It can be a welcome relief to know the source of the pain is about to be permanently removed. However, it’s also very normal to feel nervous about a tooth extraction, especially if you suffer from dental phobia or anxiety. The following are examples of different types of extractions to assist you in being more informed and confident about the procedure. A simple extraction is where the tooth is visible in the mouth and easy to grasp above the gum line. Simple extraction is one of the most common procedures dentists perform and while it shouldn’t be painful you may feel some pressure or pulling sensations. A surgical tooth extraction is required when the tooth is not visible above the gum line because it is unerupted or has broken off. Surgical extraction is more complex and involves making an incision in the gum to remove the tooth. A suture may be required after this procedure. You will then be asked to return to your dentist around 10 days later for suture removal. If you’ve recently undergone a surgical tooth extraction, it is important to follow your dentist’s post-operative care instructions carefully. This will assist the healing process and greatly reduces the chances of a post tooth extraction infection. Recent developments in pain control mean that tooth extraction doesn’t have to be an unpleasant experience. Local anaesthetic will be used to numb the area beforehand. In most cases your dentist can also apply numbing cream, so you don’t have to feel the local anaesthetic being administered. For patients who are anxious about the possibility of tooth extraction pain, your dentist can also provide anti-anxiety medication or IV sedation. Many patients choose our oral anti-anxiolytic medication one hour prior to surgery. This allows our patients to have the procedure feeling relaxed and comfortable. Under the advice of your dentist, you may choose to replace the tooth with a dental implant, which may be done at the same time as the extraction in a process known as immediate implant placement. 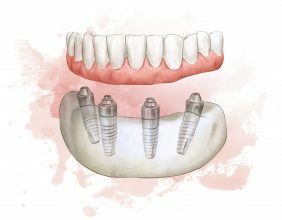 Immediate implant placement is a recent development in the field of dentistry and it can reduce the number of surgical interventions required as well as assisting the healing process. While dental extraction is considered extremely safe, any surgical or invasive procedure does come with a certain level of risk. Your dentist will explain these risks to you. We also recommend getting a second opinion. Get in touch with Aria Dental today to find out more about the services we offer or to arrange a consultation with one of our practitioners.